Do you reach out to influencers? Want to create good relationships to increase your visibility and get more customers? 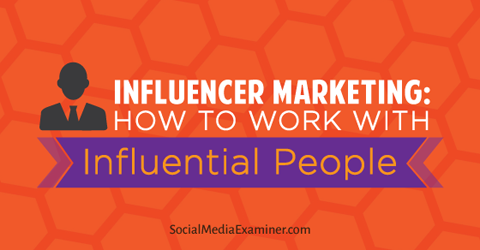 To learn how to work with influencers, I interview Doug Karr. In this episode I interview conversion expert Doug Karr, the author of Corporate Blogging for Dummies and founder of the Marketing Technology blog. Doug also co-hosts the Edge of the Web podcast. Doug will explore influencer marketing and how to work with prominent people. You’ll discover how to identify and reach out to influencers, as well as develop relationships and campaigns that lead to sales. Listen as Doug Karr shares how to work with influential people. You can also subscribe via iTunes, RSS, or Stitcher. How to subscribe/review on iPhone. After Doug got out of the Navy in 1992, he started a newspaper and did direct and database marketing. Then about 12 years ago, he started a blog. From a database marketing standpoint, Doug shares he’s always been intrigued by the pockets or the gaps, and not the averages. In the direct mail days, the motto was “go after a certain age group, gender and neighborhood, and get 100% saturation.” Doug found, over time, it was the smaller pockets of people who had higher conversion rates. This is true in online marketing as well. People who do SEO optimize for huge keywords with massive search volumes. Maybe they rank, but they don’t get any results (meaning business) out of it. 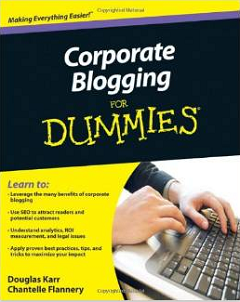 Corporate Blogging for Dummies by Doug Karr. Influencer marketing is the same, in that people go after influencers. They spend a lot of money without seeing results, because they make significant errors as they select and research influencers. Doug says he tells people who are transitioning from traditional to online media that he doesn’t think a lot has changed. As marketers, it’s all about building trust and satisfying clients. Blogging and social media are great for that, because customers can now talk to people at different companies and get insight into their business through these channels. 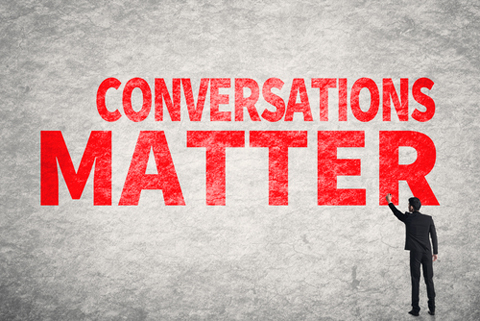 You build relationships virtually, then get those people to convert. Listen to the show to hear what opportunities came to Doug from blogging. Doug believes influencers are people within our industry who already have established trust with an audience. Let’s say someone has an amazing audience you want to reach. The best way to get to that person’s audience is to create an influencer marketing campaign and work with that influencer to help you promote your products and services. The keys are audience (find an influencer whose audience matches what you need) and reach. Determine if the influencer’s reach is wide enough to make your campaign sensible from a time and money standpoint. Listen to the show to hear examples of good influencers to reach out to in the marketing and social media space. Doug says half of the time, a company fails because they focus on reach and popularity, but not necessarily on influence. Influence is not about retweets or shares. It’s about conversions. If someone makes a purchase based on a person’s advice, that person is an influencer. Influencers drive conversions. Image: Shutterstock. When Doug works with an influencer, he looks at that person’s target audience to see whether he or she has captivated their trust and made sales to them. One of the telltale signs that influencers are doing well is they’ve had the same sponsor on their site for 3 years; they don’t switch them out every month. Doug also cautions that before entering into a relationship with an influencer, you want to make sure you have an out if it’s not a good fit. Listen to the show to learn how Doug responds to people who want him to write about their product or service. Doug is from Indianapolis (a big car-racing city). He shares how the racetrack reached out to social influencers and invited them to the Brickyard in hopes that they’d talk about the race online. They offered suite tickets, as well as an invitation to meet the drivers. When Doug got the invite, he wrote back and offered to come talk to them before they invited more influencers, to make sure it was worthwhile. The racetrack didn’t respond. 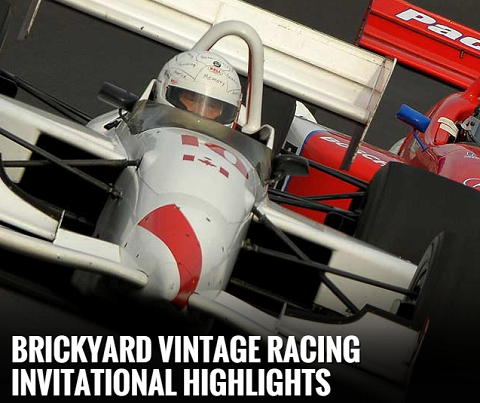 The racetrack invited local influencers, not targeted ones, to the Brickyard. Although Doug didn’t attend the Brickyard event, about 30 other local influencers did. And those influencers told Doug that the drivers came into the suite, but no one knew who the drivers were and nobody took pictures of them. The influencers just ate, drank, talked to each other, didn’t watch the race and then left. They didn’t talk about it online. It was an epic failure that easily could have been turned around. Listen to the show to hear how Doug thinks they could have turned the event into a success. Start with your story. Tell the influencer what kind of value you can bring to their audience. Doug shares a scenario that often happens to him. Someone pitches him a story to the effect of “this CEO wants to talk about X.” Doug comes back with, “Our audience doesn’t really care about X, but I noticed the CEO works for this company and I’m curious what kind of problems he solves for marketers.” He tries to find a fit that would be of interest to the influencer and his audience, so everyone benefits. What is this person good at? What is your audience like? What are they receptive to? What do they click on most? What do they convert with best? Once you answer these questions, you can craft and develop campaigns that fit. Doug says some partners want infographics, webinars or case studies, while others prefer a blog post or even networking. All of those things have different value, but it’s important to meet on common ground and figure out the most compelling way to convert that audience. Doug shares how Lead Forensics approached Doug about building a relationship. Doug suggested he start by writing about them to gauge the response. Lead Forensics built a custom landing page. Through his blog, Doug invited his audience to check out the service. They got such an incredible response, Lead Forensics is now a sponsor on the site. When you give someone a taste of what can happen, and the results are good, then it’s time to move forward. Listen to the show to hear what happens when an influencer is not a good match. It’s the engagement of signup to conversion. The process starts with demonstrations and downloads, but ultimately you want it to lead to conversions. Remember, that usually takes time. Doug likes custom landing pages. If a sponsor sets up a custom landing page, and his blog points his audience to it, the impact of the campaign can be measured discretely. Listen to the show to learn about leading indicators. TwitShot is a combination of a website, a chrome extension and an iOS app. 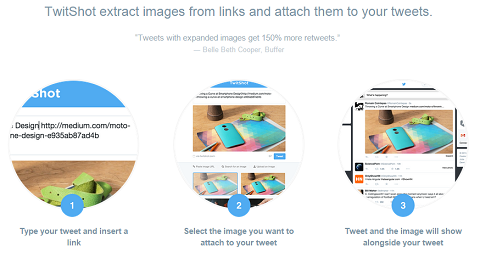 It simplifies the way you find images for your tweets. TwitShot makes it easy to drop photos into tweets. As soon as you drop in a URL for whatever piece of content you want to tweet, TwitShot scrapes the site and finds all image options. It’s a major time saver. Much easier and more efficient than downloading and re-uploading an image when you want to tweet. TwitShot makes tweeting on the go so easy! Listen to the show to learn more and let us know how TwitShot works for you. Today’s show is sponsored by Social Media Marketing World 2015. Social Media Marketing World 2015 just ended last week. If you missed it and heard good things about it, for a short while longer you will be able to get access to the content through our virtual ticket. Get every session, download the audio, watch the streaming video, print out the slide decks and add notes to them. It’s a great way to take in content if you care about taking your social media marketing to the next level. Visit here to check out the speakers, the agenda and grab your virtual ticket. Social Media Marketing World 2015 has a lot going for it with the great content, excellent presenters and valuable networking opportunities. Connect with Doug on his website. Read Corporate Blogging for Dummies. Listen to the Edge of the Web podcast. Like the Marketing Technology blog on Facebook, and follow it on Twitter and Google+. Learn more about Doug’s situation with the Brickyard and the keys to a successful strategy, as well as his partnership with Lead Forensics. Take a look at the cartoon about “Shiny Object Syndrome” from Marketoonist Tom Fishburne. Email emily@socialmediaexaminer.com if you are interested in being a sponsor. 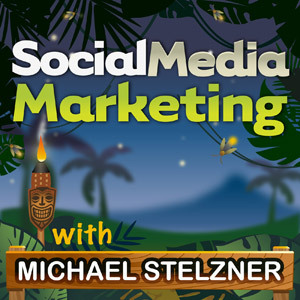 Learn more about the Social Media Marketing World 2015 and get your virtual ticket. What do you think? What are your thoughts on influencer marketing? Please leave your comments below. Conversions matter photo from Shutterstock.